Conservation Corps Minnesota & Iowa deployed a crew to Hamburg, Iowa in response to the flooding natural disaster. This 30-day deployment of 13 AmeriCorps members and two staff will assist Iowa community residents in Southwest Iowa of who are recovering from last month’s massive floods compounded by snow melt. “I chose to participate in this natural disaster recovery because I know people who have been affected and live and work in the affected community,” said crew member Joseph Campbell. “To me, there is nothing more important for us to do with our time than to help our neighbors in need. It takes so many people, so many resources, and so much time to orchestrate everything and I am grateful to play my part in helping the community of Hamburg.” Joseph Campbell, from Avoca, Iowa, is deployed with Conservation Corps Minnesota & Iowa as part of his year-long AmeriCorps field-crew placement based in Council Bluffs, Iowa. Serving throughout southwest Iowa, AmeriCorps members are engaged in many types of response activities from survivor outreach and homeowner intake to residential services such as property assessments, mucking & gutting, and mold suppression. Members are also assisting with donations management and coordinating volunteers coming into the affected communities. Click here to learn more and read our full press release. On Friday, April 12, 2019, AmeriCorps members departed from Saint Paul, Minnesota to join additional members in Iowa for a 30-day flooding disaster recovery deployment. 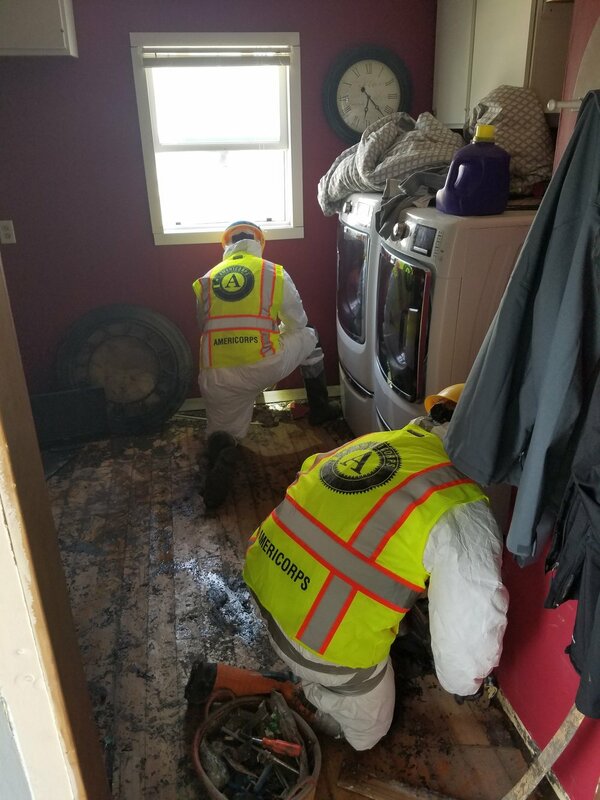 In April 2019, AmeriCorps members mitigated flooding damage in homes by providing services such as mold suppression and mucking/gutting. In April 2019, AmeriCorps members helped residents remove debris and personal items from homes damaged by flooding in Hamburg, Iowa. April 15, 2019 by Rachel Wagner. 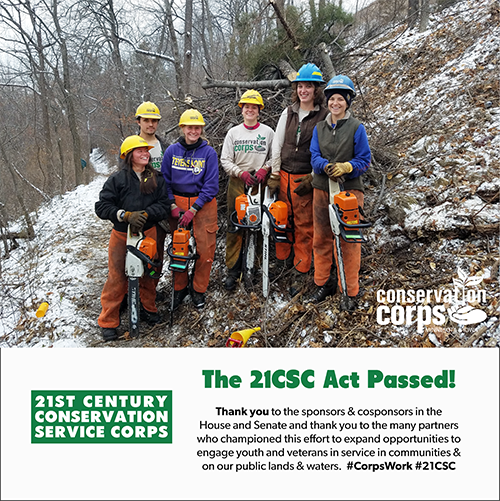 The 21st Century Conservation Service Corps Act passed in the House and Senate. It’s expected to soon be signed into law. Read the full press release below from The Corps Network and learn how the 21CSC Act will help programs like Conservation Corps across the country engage more young people in national service and do more work to improve our public lands and communities. Press release from The Corps Network. (WASHINGTON, DC) – The 21st Century Conservation Service Corps Act, or 21CSC Act, passed in the U.S. House of Representatives on February 26 as part of the Natural Resources Management Act (S.47), a broad public lands package of more than 100 bills. The identical bill previously passed in the U.S. Senate on February 12 and is now expected to be signed into law by President Donald Trump. 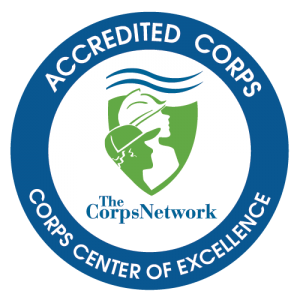 The 21CSC Act assists the Service and Conservation Corps movement by allowing federal land and water management agencies to create formal, more flexible partnerships with Corps; ensuring better tracking of data and accomplishments; and increasing enrollment in Corps among Native American youth and veterans. Under the 21CSC Act, the National Oceanic and Atmospheric Administration (NOAA) will join the Departments of Interior and Agriculture as part of the Public Lands Corps (PLC) Authority, giving NOAA and the Secretary of Commerce increased flexibility in partnering with qualified Corps to complete maintenance and improvement projects. Among other provisions, the 21CSC Act also establishes an “Indian Youth Service Corps.” This will allow federal resource management agencies to enter into cooperative agreements with tribes or qualified Corps for the administration of Corps programs that primarily engage Native American young people. Other key provisions of the legislation include a requirement that the resource management agencies under the PLC Authority each designate a coordinator to facilitate partnerships with qualified Corps; as well as a requirement that the Corporation for National and Community Service (CNCS) report to Congress every two years with important data on Corps. This includes enrollment numbers and information about the types of service performed by Corpsmembers. Collecting this information will help demonstrate the impact and value of Corps. Corps are community-based programs that provide young adults and recent veterans the opportunity to serve our country, advance their education and obtain in-demand skills. Serving in crews or individual positions, Corpsmembers complete meaningful terms of service. Projects include addressing backlogged maintenance on public lands, various conservation and infrastructure concerns, wildfires and natural disasters, outdoor recreation access, and a range of other issues. During their service, Corps participants gain hands-on work experience and prepare for careers in the growing recreation, natural resource, and restoration economies. The 21CSC is a national initiative to expand Corps to annually engage more young adults and veterans in outdoor work and national service, including service opportunities supported by AmeriCorps. The backbone of the 21CSC is a membership of more than 230 local and regional 21CSC organizations (Corps) across the country that collectively enroll more than 25,000 young people and veterans every year. Through public-private partnerships between 21CSC organizations, resource management agencies, and the private sector, the 21CSC builds rural and urban economies by engaging young adults and veterans in service projects that increase access to public lands and enhance the natural resource infrastructure that supports our country’s $887 billion outdoor economy. Corps have been authorized to partner with federal land management agencies through the PLC Authority, which was passed as part of the National and Community Trust Act of 1993. The 21CSC Act updates this authority to recognize the need for a new 21st Century Conservation Service Corps to address modern conservation, recreation, forestry, and infrastructure needs. The bipartisan 21CSC Act was introduced in the United States Senate (S.1403) and House of Representatives (H.R.2987) on June 21, 2017. The bill was introduced in the Senate by Sens. John McCain, Michael Bennet, Lamar Alexander and Tom Udall. It was introduced in the House by Reps. Martha McSally, Seth Moulton, Scott Tipton, and Raúl Grijalva. Additional co-sponsors joined in both the House and Senate. An earlier version of the 21CSC Act was introduced in the Senate in August 2015 (S.1993) by Sens. McCain and Bennet, and in the House in April 2016 (H.R.5114) by Reps. McSally and Moulton. Click here to read the full press release from The Corps Network. March 6, 2019 by Rachel Wagner. Craig Young has recently been named as a 21CSC Champion of the Year for 2019. This award recognizes individuals from agencies and organizations that partner with 21CSC programs to help engage the next generation of conservation and community leaders in service, education and training. The 2019 honorees will be recognized in Washington, DC during the annual meeting of the partnership for the 21CSC, part of The Corps Network 2019 National Conference. Learn more about Craig – Click here. Read The Corps Network’s press release - Click here. Are you a Conservation Corps alum? Would you like to reconnect and network with fellow Conservation Corps alums? Are you seeking an opportunity to serve in a leadership capacity to advance your skills and experience? Apply today to serve on Alumni Advisory Council for the Conservation Corps Minnesota & Iowa. 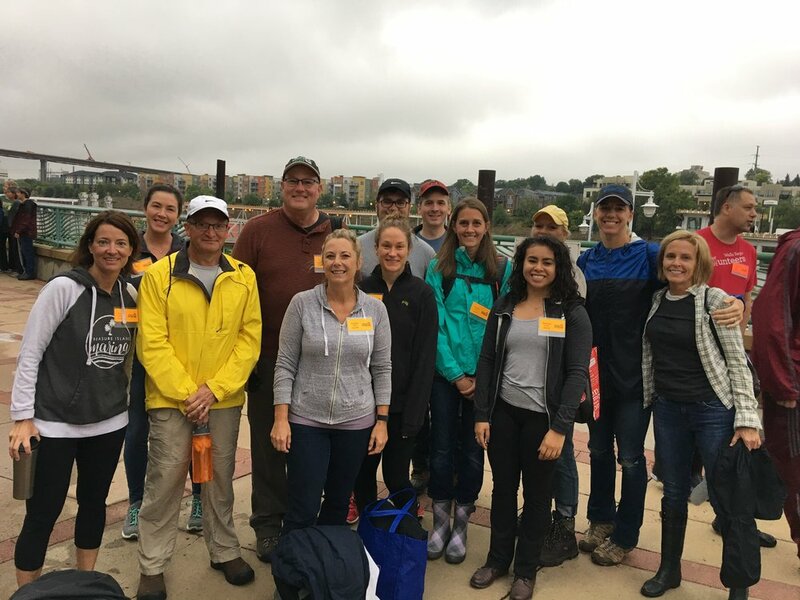 The Alumni Advisory Council supports Conservation Corps Minnesota & Iowa’s mission and goals by helping the organization strengthen their alumni network. 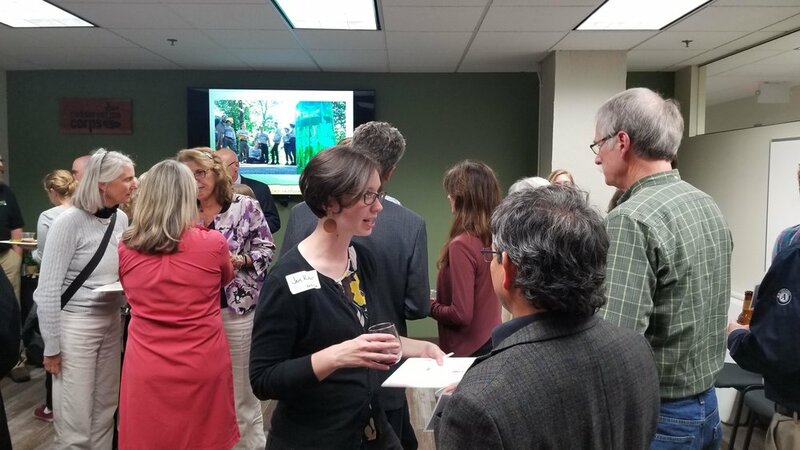 Members will assist in developing alumni engagement strategies, help with planning events and activities, and provide input to Conservation Corps staff and board of directors on how to expand outreach to alumni. Outreach: Our members reach out to Corps members, past, present, and future. They attend events and participate in activities to spread the word about Corps opportunities. Leadership: The Alumni Advisory Council offers to a variety of leadership opportunities. Members often speak with current Corps members, promote Conservation Corps within the community, and assist staff in developing and implementing alumni engagement plans. Service: The Council is an opportunity to pay it forward – giving back to an organization that provided you with meaningful experiences! Our members volunteer their time in service to the organization and its constituencies. 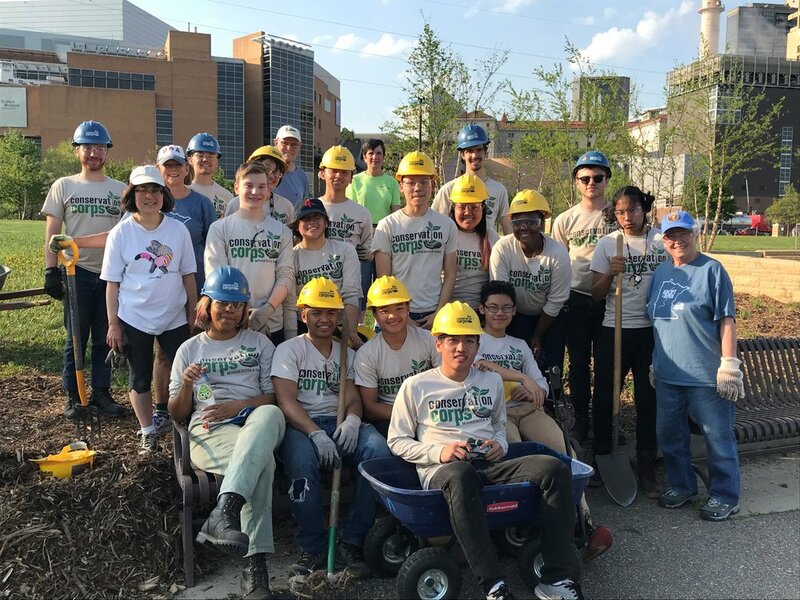 Community: Being part of a group of people dedicated to national service and environmental conservation is a wonderful way to meet new people and reconnect with friends. Read through the position description for an Alumni Advisory Council member. Learn about the backgrounds of our current Alumni Advisory Council members by visiting our website here. Then, if you are interested, please submit an application online by Tuesday, January 15, 2019. Contact Melissa Cuff at 651-209-9900 x26 with questions. December 18, 2018 by Rachel Wagner. Leaving footprints in the first snowfall to make a lasting impression this Fall, Youth Outdoors crews filed into Green Hall on the U of M’s College of Food, Agriculture, and Natural resource Sciences (CFANS). On Saturday, Nov 10, the University of Minnesota welcomed 36 high school crew members, 18 AmeriCorps crew leaders, and a range of 12 natural resource professionals to an educational day of exploring college and career opportunities the emphasize STEM and outdoor fields. Volunteers from many local environmental and community service organizations have donated their time, energy, and talents to College & Career Day over the last five years. This year, the Corps welcomed professionals from: MN Department of Natural Resources – National Park Service – U.S. Forest Service – CFANS Undergraduate Services – U-Spatial Technology – Ecology Club – Marine Biology Club. High school crew members were able to tour the Bell Collections, create or update their personal resume, attend a career panel, and participate in hands-on afternoon workshops: a drone demonstration, a GIS mapping scavenger hunt, and a marine touch tank activity. The College and Career Day builds on knowledge that crew members gain throughout their 11 week, seasonal term and gain confidence in what opportunities await them! November 19, 2018 by Rachel Wagner. On the 15th of October, over 700 people from as close as St. Paul to as far as Moscow convened in Rochester, Minnesota. Amidst copious construction projects and some ill-received early snow, these hundreds of individuals all found their way through the bustling streets and skyways to Rochester’s Mayo Civic Center. What brought so many strangers together at the primitive hour of 7 am?—the Upper Midwest Invasive Species Conference. 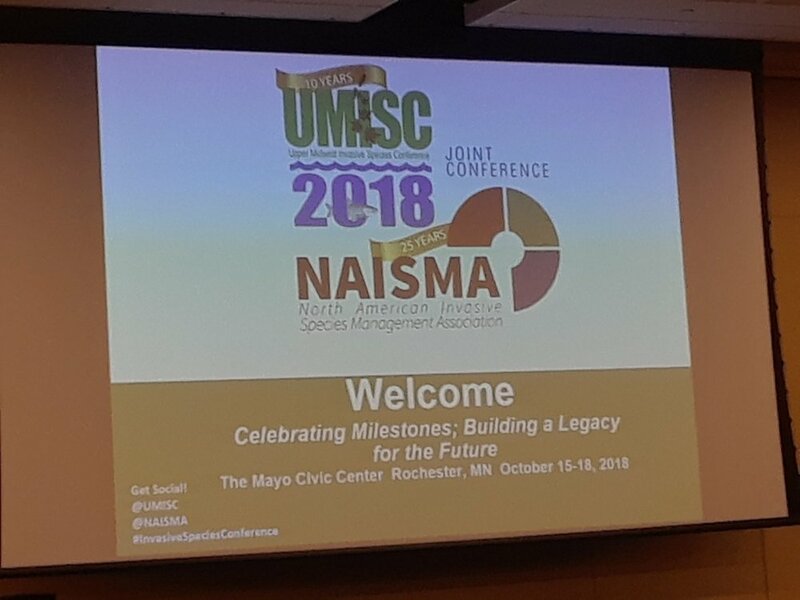 Colloquially known as UMISC, the Upper Midwest Invasive Species Conference is a bi-annual conference hosted by invasive species organizations across the upper Midwest. 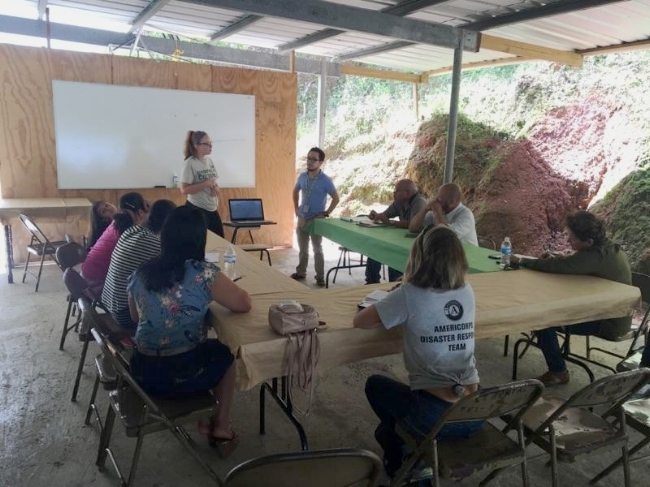 It brings together government agencies, tribal agencies, private companies, professionals, students, researchers, citizen-scientists, and more to discuss invasive species and share management and prevention strategies. 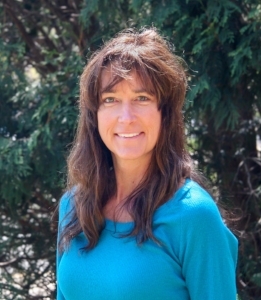 This year the conference was even bigger, for it partnered with the North American Invasive Species Management Association (NAISMA), drawing new interest from across the continent and the world. I attended the four-day conference along with many other members of the MN DNR and a number of folks from Conservation Corps MN & IA. I went on a field trip to the Prairie Island Indian Community to learn about invasive species management in cultural and heritage-significant lands, and sat in on a plethora of different speaker sessions discussing everything from fire management to restoration to new creative ways to combat invasive species. One particularly memorable presenter described his work in Hawaii using paint-guns and herbicide-filled paintballs shot from helicopters to treat invasive species along hard-to-reach coastal and volcanic cliffs. Overall, I learned a lot from both the presentations as well as the interactions and methods of communication by the other attendees. While standing in the conference reception lobby, watching the intermingling of casual and professional interactions, it occurred to me that every moment of the day is an opportunity to learn. As valuable and informative as the content presentations were, I learned just as much from simply watching those around me. It’s a good reminder that every moment is a chance to observe the world around you and learn from what you witness. Almost a month after Hurricane Florence made landfall, Conservation Corps folks finally got the call to deploy to assist with current recovery efforts. Although Hurricane Florence grew in strength as it tracked across the Atlantic, and reached Category 4 status twice in its journey, when it made landfall on 9/14/18 it was officially classified as a Category 1. This didn’t stop Florence from leaving a historically destructive legacy in its wake, ultimately dropping 35.93 inches of rain in some areas and setting records with rivers cresting well above historic flood stages. The storm also sparked enough atmospheric turbulence that a few tornadoes sprung up in its wake, causing trees to fall and electrical poles to be compromised. This prolonged rainfall and slow retreat of waters from flooded areas prevented many disaster relief groups from responding earlier. As soon as weather stations start tracking storms with the potential for landfall in the US, our staff and members are preparing for service. Many members join the Conservation Corps because they want to help, they want to give back and they want to make a difference in the world. Assisting with recovery after a natural disaster is one form of service that our mission takes. After weeks of waiting for conditions to improve enough for us to gain access and provide meaningful assistance, we received the go-ahead from the Corporation for National and Community Service (CNCS). AmeriCorps members gathered in Saint Paul for a briefing on the situation and a final round-up of equipment to be prepared for activities that could include: mucking and gutting homes that had been flooded, mold suppression, clearing fallen trees and debris, volunteer and donations management, among other things. After a two- and half-day journey, our 10 AmeriCorps members arrived in Dillon, SC where they tied in with other AmeriCorps-Disaster Response Teams (A-DRT) from Washington Conservation Corps, Southeast Conservation Corps, Conservation Corps New Mexico, and Montana Conservation Corps to begin organizing and planning the recovery work that needs to be done. Two Conservation Corps Minnesota & Iowa Individual Placements, two Central District Corpsmembers, and four Northwest District Corpsmembers have been serving on Strike Teams completing muck and gut in homes and canvassing in neighborhoods to assess need. Corpsmembers on the Strike Teams say they’ve been happy to help homeowners and that one of the homeowners has even made them lunch twice. Two Northwest District Corpsmembers have been assisting in the Planning Section which stays up-to-date on information and available resources to create daily Incident Action Plans and to work in the field with the Strike Teams. As of Thursday, October 24th, the A-DRT programs stationed in South Carolina assisting with Hurricane Florence recovery have completed 41 damage assessments of homes, mucked and gutted four homes from flood damages, and cleared 120 cubic yards of debris. Great work! We’re thankful to have amazing AmeriCorps members that want to help others in their time of need and look forward to more updates and amazing accomplishments from them in the future. October 26, 2018 by Rachel Wagner. Bipartisan Support for National Service! Congress has passed and President Trump has signed a FY19 spending bill that not only rejects the administration’s budget proposal to shut down the Corporation for National and Community Service—it increases funding for CNCS, AmeriCorps, and Senior Corps. Join us in thanking Congress for investing in national service. This funding ensures that we are able to continue supporting our hundreds of AmeriCorps members who help to conserve natural resources and respond to natural disasters every year. October 1, 2018 by Rachel Wagner. Mark Murphy officially joined Conservation Corps Minnesota and Iowa as executive director on September 4. The Board of Directors announced their decision in August after a comprehensive national search. Mark is a seasoned business and non-profit professional with a passion for mobilizing organizations to tackle environmental, social, and economic challenges. Although you can read Mark’s bio on our website, we thought you’d like to take a deeper dive with us and hear from both Mark and our Board Chair, Jill Mahon Johnson, about why they are excited about the future of Conservation Corps. Rachel: Jill, share with us why you are excited about the future of Conservation Corps Minnesota & Iowa? Jill: Easy one. We have talented staff, insightful board members, and an enthusiastic Alumni Council. And there is so much positive energy from partners about continuing our legacy. Now, with Mark on board as executive director, we are well-positioned to increase our capacity and impact. It’s a wonderful time to be part of this organization! Rachel: Where do you see Conservation Corps in five years? Jill: With high education costs and workforce shortages, we offer valuable opportunities for young people and the partners we serve. The demand for STEM careers and green jobs is increasing so our work remains extremely relevant. We give young people the skills to successfully reach the next stage of their professional development…whether education or permanent employment. Rachel: Why is our work important right now? Jill: I see the Corps continuing our legacy of transforming lives of young people through skills training, outdoor experiences, and environmental stewardship. We will have the capacity and flexibility to meet the ever-changing needs of the communities and partners we serve. Rachel: Mark, what drew you to this opportunity with Conservation Corps Minnesota & Iowa? Why is our work important right now and what are you most excited about? Mark: Conservation Corps has a long history of working with young people who are committed to serving their communities, interested in building practical skills for their future, and intent on improving, conserving and protecting natural resources and the environment. This opportunity at Conservation Corps offers me a meaningful way to contribute and give back the skills and insights that I have been fortunate to absorb over my career as a leader in corporate responsibility and sustainability, philanthropy, and community advocacy and organizing. The work of CCMI today is at the intersection of so many critical and relevant social, economic and environmental issues that we see in our communities. I love getting up every day with the mission and task to embrace and tackle these opportunities and challenges. We are doing that at the ground-level at Conservation Corps. Rachel: Share a glimpse of your vision for the organization and a bit about your leadership style. Mark: My ambition is to help CCMI continue its legacy as an innovator and leader in working with national, state and local partners, to grow and adapt to meet a changing environment: workforce, economy, and climate. I believe in the importance of collaboration and partnership. At CCMI, we have a great team already working with long-standing partners. Together, we can do more to develop and prepare young people, from diverse backgrounds, interested in STEM and Natural Resource-oriented careers, tackle opportunities in the emerging Green economy and meet increasing demands brought about by the changing climate and need for mitigating and responding to natural disasters. Rachel: What do you hope to achieve in your first 100 days? First year? as the new executive director of Conservation Corps Minnesota & Iowa? Mark: It may appear simple, but we must be patient as our first steps must be deliberate and sequenced. First, I must learn and explore what makes the Corps and its culture special. After all, I am not a former Corps member. Second, fostering a collaborative environment, we need the team to keep building off solutions that are already in motion addressing some of our short-term fiscal and administrative priorities, while also preparing groundwork for where we want to set a future agenda. Lastly, we need input and alignment to set a new strategic plan for CCMI, and we must include the perspective of our many stakeholders as we set our course forward. The good news for me as I come on board is that CCMI is already on-the-move and its future is very bright! September 28, 2018 by Rachel Wagner. 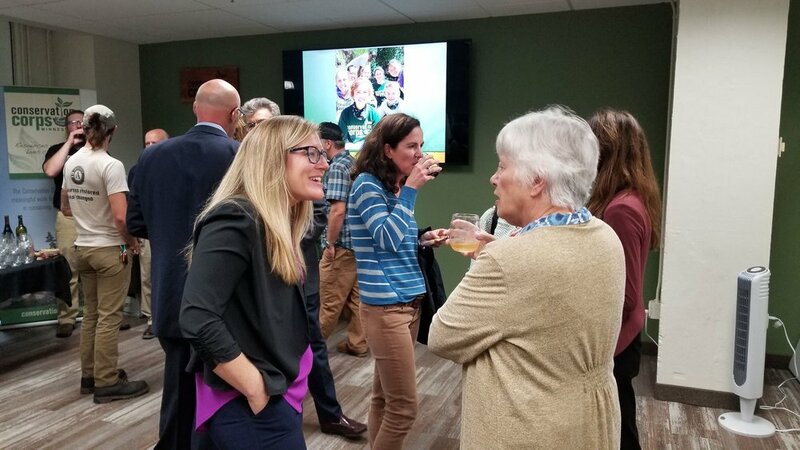 Nearly 60 people attended a welcome reception for Mark Murphy on Tuesday, September 25, 2018 including staff, board, partners, alumni, donors, and neighbors. If you were in attendance, thank you for stopping by! As our board chair Jill Johnson said, we have a bright future ahead. Thank you for supporting us and we look forward to sharing our future work with you. September 27, 2018 by Rachel Wagner. 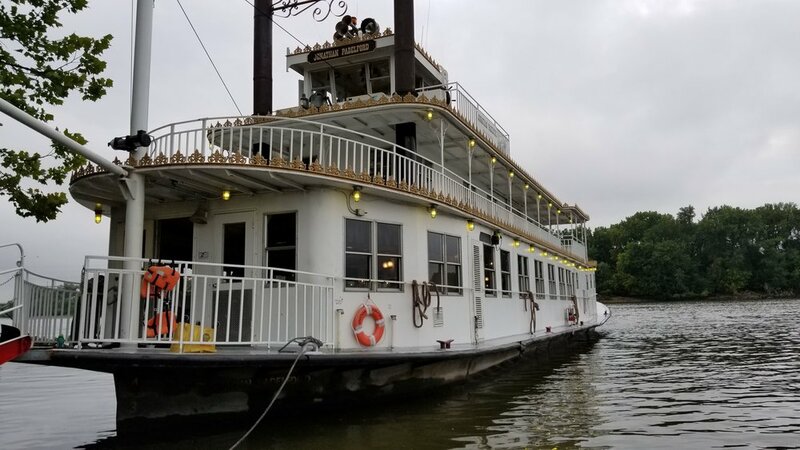 After being rescheduled due to unsafe water levels from its original date in June, the Conservation Corps’ 27th Mississippi Riverboat Cleanup took place on Tuesday, September 18, 2018. 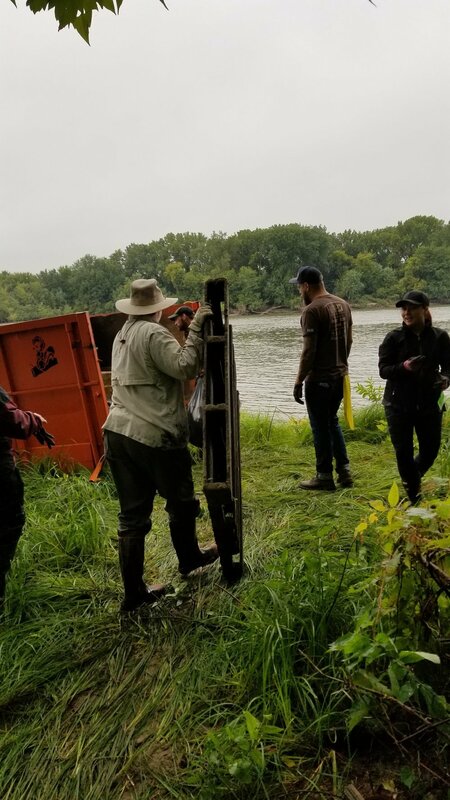 The successful event mobilized 111 volunteers to remove 2.08 tons (4,160 pounds) of trash from the shores of the Mississippi River near Pig’s Eye Island. The volunteers found many sizable items such as a broken house boat, a 350-pound tractor tire as well as 25 vehicle tires. Also, many smaller items were removed that would otherwise harm wildlife habitat including hundreds of plastic bottles, straws, Styrofoam waste, and other plastics. Conservation Corps partnered with 10 local employers that provided important resources for the Riverboat Cleanup. 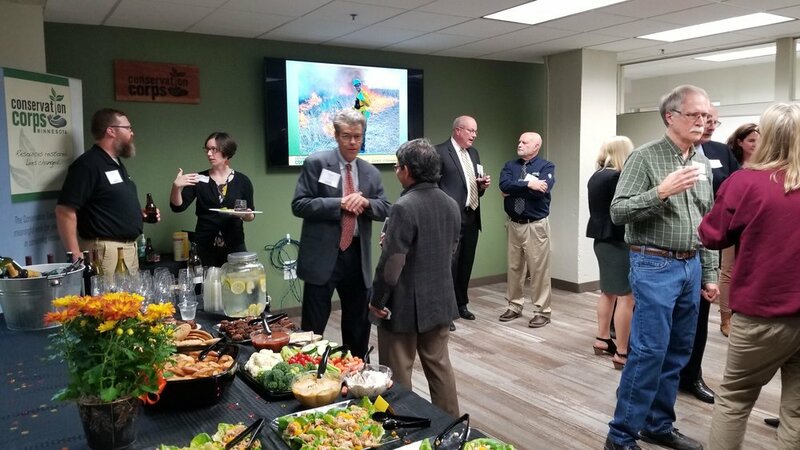 These included Wells Fargo, Boston Scientific, Highland Bank, Van Wagenen Financial Services, Timberland, Thompson Reuters, SAP Success Factors, Minnesota Valley National Wildlife Refuge, Refuge Friends, Inc., and Art Start. These employers encouraged employee registrations and provided a paid work day for their employees who volunteered. Volunteers of Friends of Upper Landing Park, located on Shepard Road near downtown Saint Paul, also participated. Sponsors for this event included the John S. and James L. Knight Foundation, Wells Fargo Foundation, and Boston Scientific Foundation. Padelford Riverboats provided transportation and lunch. Upper River Services provided dumpster delivery. Tennis Sanitation provided use of a dumpster. Living Lands and Waters donated t-shirts and gloves. Cub Foods donated cookies. National Parks Service and Minnesota DNR provided shuttle boats. Local organizations contributed door prizes: Park Square Theatre, Science Museum of MN, Timberland, and Art Start. September 24, 2018 by Rachel Wagner. Who knew a small, rolled up piece of clay, compost and native seed could cause such a bang! These little guys (AKA seed-bombs) create a plentiful, flowering wonderland, often in places gardeners cannot reach. Luckily for Jester Nature Park Center in Granger Iowa, they got the full seed-bomb experience! August 31, 2018 by Conservation Corps. On behalf of the Board of Directors, I am thrilled to inform you that, after a comprehensive national search, we have selected Mark Murphy as the new Executive Director of Conservation Corps Minnesota & Iowa. Mark is a visionary leader and nonprofit professional with a passion for environmental conservation, youth development, and workforce preparedness. You can read his bio here. Mark is committed to collaborating with the Board and staff to identify and execute a common vision for Conservation Corps’ future. With input from supporters like you, he will work to implement strategic priorities that sustain the success we have had over so many years. He will oversee Corps operations and foster growth in the most valuable resources of our organization. Mark will officially start on Tuesday, September 4, 2018. Please join our staff and board members in welcoming him. We would love to introduce you personally and are hosting a Welcome Reception on Tuesday, September 25th from 4:00 pm to 6:00 pm. For more information and to RSVP, click here. Finally, please take a moment to review the 2017 Annual Report, which is a wonderful summary of the successes we have achieved together over the past year. As we transition to Mark’s leadership, we look forward to your continued partnership in restoring resources and changing lives of young people in the communities we serve. It is a privilege and honor to work alongside you as partners in this important work of providing hands-on environmental stewardship. Thank you for all you have done to help us succeed. We greatly appreciate your generosity and dedicated support. August 15, 2018 by Rachel Wagner. For three years now, our Summer Youth Corps and Youth Outdoor crew members have partnered with the Minnesota Pollution Control Agency (MPCA) to work on projects dealing with climate resiliency. What is that you ask? Let's take a look! August 7, 2018 by Conservation Corps. It's a little too early and warm to be thinking about the brutal Minnesota winters, but for all the hockey lovers out there, it's never too soon to talk about this puck slapping, chilly sport! Specifically if you're with The Minnesota Wild. July 25, 2018 by Conservation Corps. This month we celebrated and promoted awareness on some important critters that don't always get the attention they deserve. We're talking about pollinators! From June 18th to the 24th we recognized National Pollinator Week. June 29, 2018 by Conservation Corps. Oak Ridge Elementary School of Leadership, Environmental and Health Sciences now has a brand new 56 step stairway giving access to an outdoor classroom for 580 students of Eagan, Minnesota. This project was completed by the five-member Shakopee Crew over a three-week period in late April and early May. Construction of the stairway required members to complete many tasks in sequence such as reading blueprints, grading, measuring, sawing, working with hand tools, and lots of digging. Shakopee Crew members also developed teamwork skills as they faced many challenges typical of outdoor construction projects including a delayed project start due to April snow storms and colder than expected working conditions. When asked about the experience overall, Crew Leader Will Franta shared, “It was challenging at first to figure out our roles and tasks for this project because of its technical nature. But, once we got into a rhythm we realized that we could do anything that we put our minds to.” The confidence and discipline that Will describes is so critical to success in life. Thank you to Rosemount-Apple Valley-Eagan Public Schools (District 196) for supporting this meaningful project at Oak Ridge Elementary School. This project benefited not only the Eagan community, but it also made a positive difference in the lives of five young adult Corps members. May 23, 2018 by Bailey Erickson.